The newest way to learn hunter safety in Virginia is to take the Outdoor Roadmap online hunter education course, then attend a six-hour classroom session. In Virginia, hunter education is required for all 12-15 year olds as well as any first time hunter. The newest way to learn hunter safety in Virginia is to take the Outdoor Roadmap online hunter education course, then just attend a six-hour classroom session to receive your hunter education certificate. In Virginia, hunter education is required for all 12-15 year-olds as well as any first time hunters. By taking the course online, a new hunter can review course materials in a timely manner to maximize learning and focus. “Adding the Outdoor Roadmap course as a Virginia online hunter education option provides our future hunters with a low-cost online option with the convenience of home study, making it easier to become a hunter in Virginia,” said Bob Duncan, Executive Director, Virginia Department of Game and Inland Fisheries. The Outdoor Roadmap Virginia Hunter Education training is the lowest priced online narrated course at $13 and features photos, interactive exercises, and a narrated text with closed captioning at the sixth grade reading level for easy reading and comprehension. Upon completion of the entire online hunter safety course, including practice quizzes and scoring at least 80% on the exam, a student is ready to take the required Virginia six-hour classroom session in order to earn the Virginia Hunter Education card. 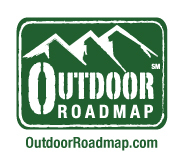 “OutdoorRoadmap.com is able to offer a complete new Virginia hunter recruitment program using easy access to the sport with online hunter safety training and providing how-to and gear articles for the new Virginia hunter. We are very happy to be partnering with Virginia Department of Inland Fisheries to bring the program to Virginia hunters.” said Jim Moore, Publisher and CEO of Outdoor Roadmap Hunter Safety Education Programs. The Outdoor Roadmap Online Hunter Education Hunter Safety Course is available at: http://www.OutdoorRoadmap.com/sem/virginia-hunter-education.